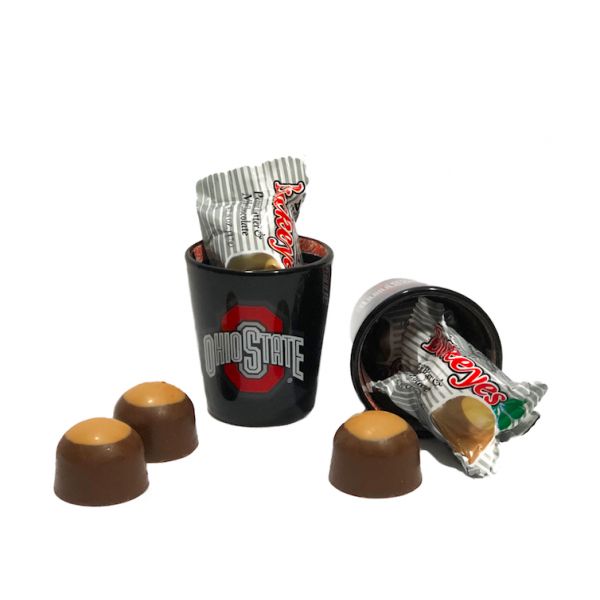 A durable black OSU Shot Glass perfect for any football fan. A real game changer. Comes with two individually-wrapped peanut butter Buckeyes.